It was all about the 80's last week as European giant, Reserved, launched their Summer/Spring 2018 collection. The Obscura's timeless-yet-retro design fit right in with the OTT 80's madness! Creative agencies TwelveAM and Fisher Productions transformed Shoreditch space Kachette into an 80's themed film set replicating the brilliant Reserved campaign video check it out at the bottom of this post! The London Lightbox was there to capture the moment with not one, but two Obscuras. Both sets produced perfect imitations of the brilliant video campaign. Truly a 360° Obscura experience with custom prints, GIF and interface matching the retro colour scheme and an awesome set and backdrop - complete with hair fan for that windblown 80's look! Day one of the three day installation was the invite only press cocktail party full of London fashion bloggers, models and socialites to celebrate the new collection, fronted by supermodel Cindy Crawford. 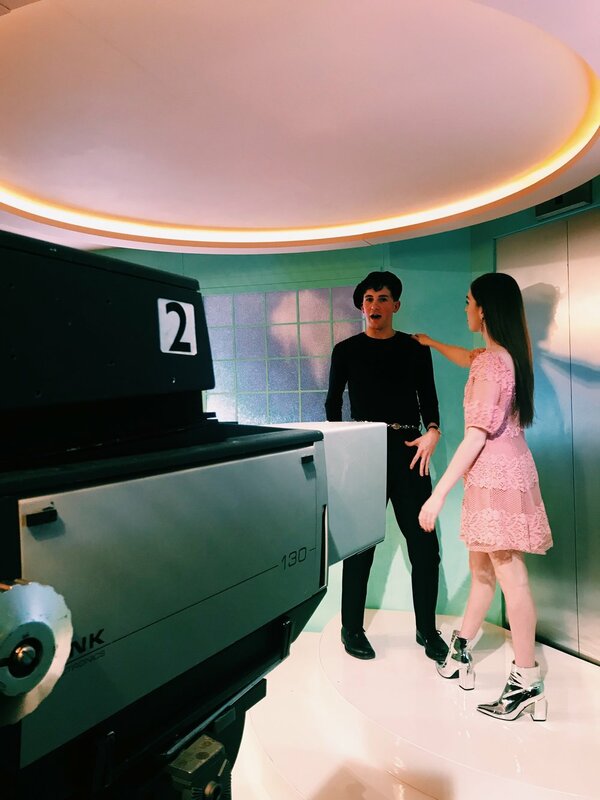 The campaign was then opened up to the public for the weekend giving them an opportunity to be just like Cindy and recreate the 80's nostalgic video campaign with the Obscura. Check out the two sets below!